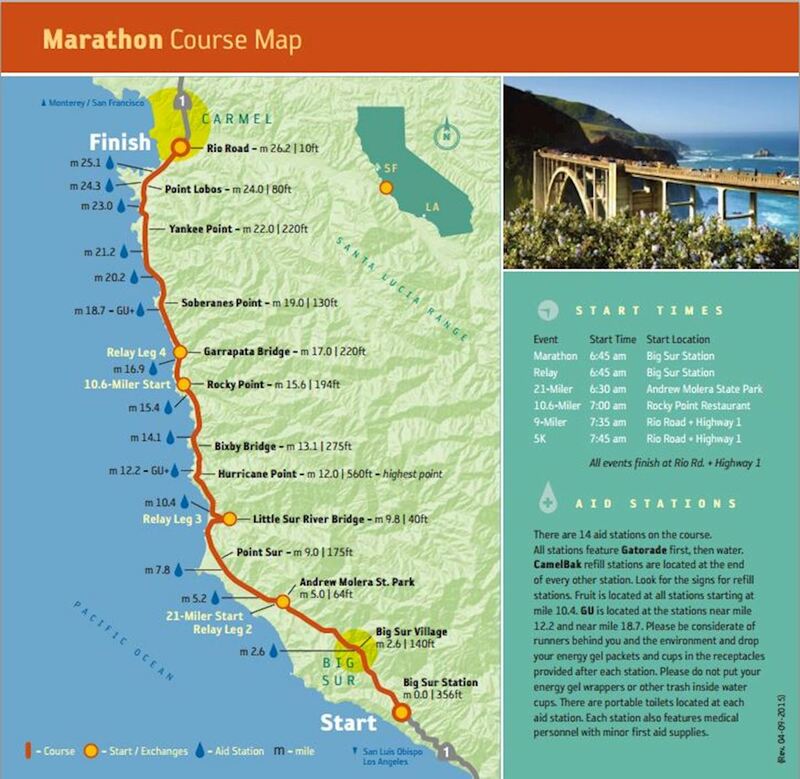 For sheer natural beauty and dramatic coastal scenery, it’s pretty much impossible to top the Big Sur Marathon series of races, which hosts the annual Big Sur International Marathon in the spring on Monterey Bay. The finish line for all events is the Crossroads Shopping Center in Carmel, California. The Marathon begins south of Pfeiffer Big Sur State Park. The course winds through redwoods, alongside ranches, and offers stunning views of the Pacific Ocean. This is a point-to-point course that runs from Big Sur to Carmel on scenic Highway 1 along the coast, the nation's first nationally-designated Scenic Highway. The course is USATF certified and is an official Boston qualifier.